You know the saying. “You are what you eat.” Now, as a breastfeeding mama, you and your baby are what you eat! While many professionals might argue that the food mama eats has no effect on the quality or quantity of her milk, studies suggest that good nutrition does play a role in the richness and abundance – especially with fats and other key nutrients – of your milk. By choosing foods that support your baby and milk supply you also integrate more nutritious foods into your own diet which allows you to heal faster, feel better and have more energy. How awesome is that? But with so much already confusing information surrounding what you should or shouldn’t eat, what’s a mama to do? The optimal breastfeeding diet is full of whole, nutrient-dense foods with the least amount of toxins possible. Something we should all be striving for anyway, right? Incorporating foods into a nursing mama’s diet which are also rich in nutritional benefits that support lactation is definitely an added bonus. Many traditional cultures revered wild-caught, oily fish such as salmon in order to thrive. Salmon is not only an excellent source of protein but is rich in vitamin B12, vitamin D, selenium, niacin, and omega-3 fatty acids – important for optimal development of baby’s brain, eyes and nervous system. High-quality, wild-caught salmon is recommended to reduce excess mercury exposure. 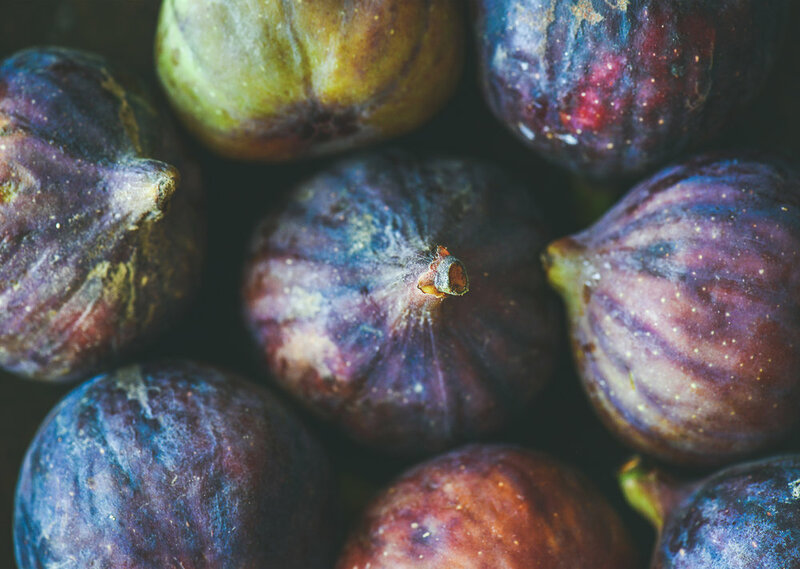 Figs are often regarded as the most lactogenic fruits along with dates, apricots, mango and papaya. 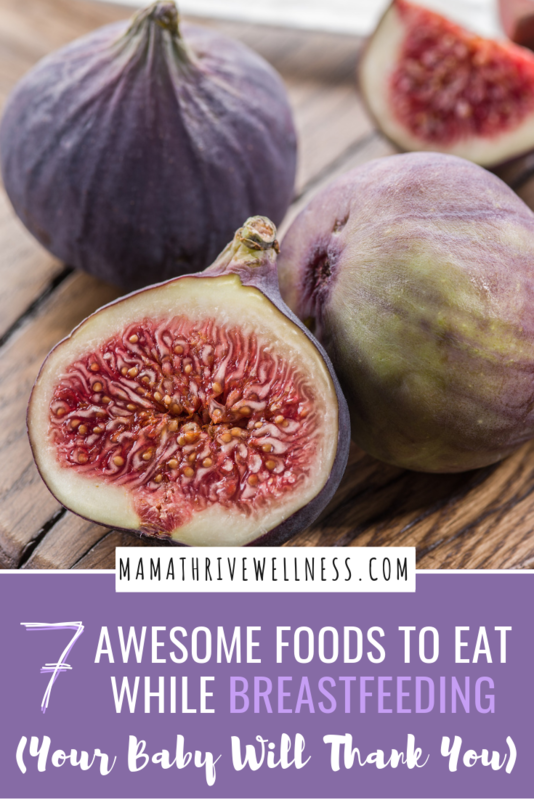 Often thought of as sacred to lactation, figs are known to strengthen the center and support milk production. They also provide a good source of calcium and other key minerals in addition to digestive enzymes for the nursing mama. Blend into a smoothie and enjoy! I’m not talking about those sugar-laden, flavored, low-fat varieties. Rather, a variety that contains live, active cultures to increase the digestive health of both you and baby. Full-fat (preferably homemade) yogurt contains probiotic bacteria which can improve the function of your gut. Leafy green vegetables are an excellent source of calcium, folate, beta-carotene, enzymes, and antioxidants. In addition, these nutrient packed super foods also contain phytoestrogens . Since these plant-based chemicals mimic estrogen, they are believed to promote breast tissue health and lactation. High in choline, eggs are often considered a “perfect protein.” Important for brain cell development, as well as nerve and liver function, choline is easily depleted during pregnancy and breastfeeding. Therefore it’s even more essential for nursing mamas to include in their diets. Egg yolks provide the richest form of choline which is an important nutrient in baby’s development. Gelatin-rich broth not only helps digest food, but also aids in preserving the integrity of the digestive tract as well. Packed full of protein, amino acids, collagen, calcium, magnesium, and phosphorus; homemade bone broth is a wonderful nutrient-dense addition to every nursing mama’s diet. Sipping nutrient rich broth daily will contribute to strong bones, tendons and connective tissue – essential elements in postpartum recovery. That’s right…you heard me correctly. Butter! Grass-fed, organic butter is a wonderful healing food rich in fat-soluble vitamins A, D and K2; conjugated linoleic acid; and omega-3 fatty acids. In addition to a being great source of nourishment, high-quality butter is a super food which supports the immune, nervous, and digestive systems. Not only does it provide awesome nutrients for a growing baby and postpartum mama, but it also contains the right kind of fat necessary to utilize them. Now it’s your turn, mama! Are there any particular foods that have done wonders for your milk supply? I’d love to hear about your experience in the comments below!